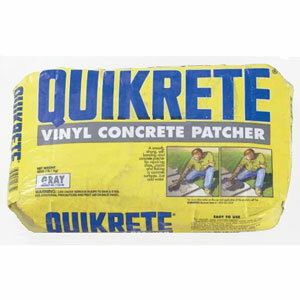 Vinyl Concrete Patcher is a multi-purpose concrete repair material with strong adhesive properties; just add water. Trowels to a feather edge of 1/16″ (1.6 mm). Made of a special blend of exterior grade vinyl resin, fine sand, and portland cement.